The man dressed as the famous seasonal character was accused of scuffling with police and kicking a police dog. WHO SAYS ‘FROSTY the Snowman’ has to be jolly? A man in a ‘Frosty the Snowman’ costume was arrested yesterday during the annual Christmas parade in Chestertown, on Maryland’s Eastern Shore. He’s accused of scuffling with police and kicking at a police dog. Walsh told The Associated Press that he has dressed as Frosty in the parade for at least 10 years. He says he was wrongfully arrested and that an officer hassled him after he remarked about the police dog’s presence. Walsh maintains he became agitated only after getting arrested. Walsh was released on his own recognisance. 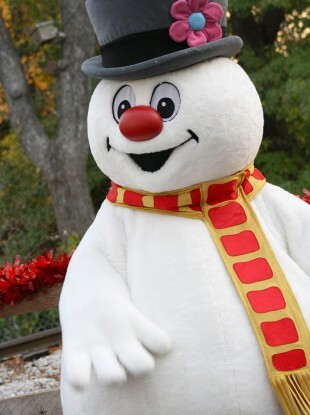 Email “'Frosty the Snowman' arrested at Christmas parade ”. Feedback on “'Frosty the Snowman' arrested at Christmas parade ”.